Just like any software, a freelancer’s rates have to be carefully considered and updated often. 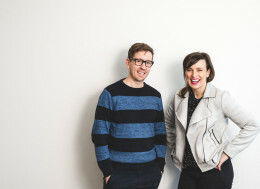 Freelance Australia’s Advisory Board Member Rachel Service and motion designer Dylan Mercer shared with us what all freelancers need to consider when it comes to talking the cash equation with clients. Rachel Service: Unless you’re able to see your skill as a product that people can buy, it will continue to be challenging to see your own value. Yes, you are creative but people aren’t always paying for your brilliance. Sometimes they are paying for your time instead. Skill: Am I really, really good at this task / skill? (This is not about ego – are you skilled or not? Can you write fast and well? Does illustration come easy to you? If you’re good and fast at it, it’s a highly valued skill). Energy: Does this task or skill come easily to me? Do I need to exert much energy to deliver a quality product? If it comes easy to you – you’re likely really good at it. If it comes easy to you but takes some time, or requires more brain space, take that into consideration when you budget your time. ‘Me’ Factor: Does my client really, really want me to work on this? Do they want to work with me – or – are they shopping around for anyone who has this certain skill set. Consider the ongoing relationship. The value of a client who adores delivers you is consistent work. They are the ones you need to be nurturing and rewarding with a rate that works for both of you to work collaboratively for as long as possible. Removing emotion around conversations with money is the only way you can guarantee you’ll get paid what you’re worth. A stepping stone to feeling more confident with cash conversations is to literally map out where you are spending your time, and multiply that by your hourly rate (or divide by your project fee). If you’ve not bothered to actually see where you’re spending your time, your inner critic will convince yourself you shouldn’t charge more. When you’re tasked with a big edit or project, do you accurately scope out how many hours of your time it could take to deliver a quality product or do you give them a blanket cost to save having to think about it? If you are charging a project fee, have you really sat down to map out exactly how much time you will be spending? Have you considered all the variables on your time including scope creep, education, upskill, client liaison, revisions and client feedback? I see so many freelancers working day and night on urgent requests from clients without being clear on the additional stress it places on their life outside of work. Yes, technically you can work at any time of the day. But is working until 2am really why you got into freelancing in the first place? Having an emergency or urgent rate (approximately 20 percent more of your normal fee) demonstrates the value you put on your time as well as educates your clients when they need something urgent, just like paying for urgent postage: it’s going to cost more. You’re not just charging to work until 2am, remember. You’re charging for the on-flow of working all night will have on your next day’s productivity and billable hours, too. And whatever you are currently charging – add 20 percent. The client will always negotiate you down but you always end up with more than you originally were going to charge and you can use that extra income as a buffer during quiet times. Dylan Mercer: There are many factors contributing to the dollar amount freelancers put on the value of their expertise. Infuriatingly, there is no right or wrong rate, and some will be higher and lower for the same service. As long as your rate compliments the work and time required then freelancers can be assured they’re on the right track. The best starting point for figuring out what you should be charging is: asking around. Reaching out to other freelancers, or people who regularly hire freelancers is hands-down the quickest way to get a realistic take on what value your skills and expertise have in the market. As a motion designer, my rate differs from client to client, based on a few factors. I have a standard day rate (based on an eight-hour day), which can be adjusted depending on a few variables. My history with the client, tight turnarounds, size of the agency, and whether I am using my own equipment are all factored into a rate. I also accept a smaller fee if the company offers great prospects to work closer to the areas of animation I prefer, or if there is an element of mentorship where I have the opportunity to develop new skills to add to my bow, which really is priceless. ‘Award rates’ can act as a great guide too. When the agency I work with is part of a larger entity, like a consultancy, or government subsidiary, they must adhere to pay policies. In these cases, they develop an award rate for the service a freelancer provides. There is no room for negotiation in these cases. Use these rates as a base to inform your own rates in other jobs. One of the best ways any freelancer can look at covering costs as they develop is to increase their price every few years, consistent with their increased skills and expertise. Most clients are happy to accept that a more experienced freelancer must charge more as they improve in their existing skills and add new strings to their bow. Every second financial new year I look at all my rates and make an appraisal of my development, then take this, and inflation, into account and make an adjustment across the board. 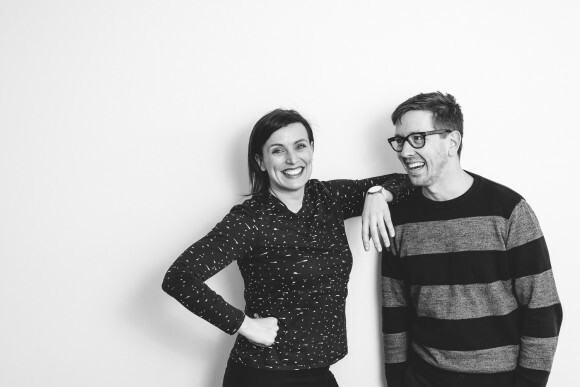 Rachel Service and Dylan Mercer are speaking on money and finances as part of Communicating with Clients in Melbourne on October 4. Book tickets here.